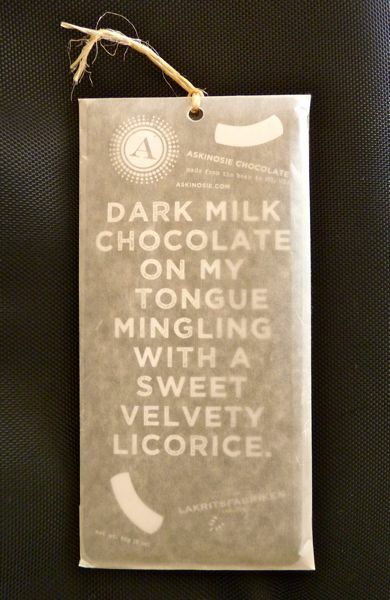 Today's "Dark Milk Chocolate on My Tongue Mingling with a Sweet Velvety Licorice" bar from Askinosie Chocolate (Springfield, MO), kicks off Chocolate and Licorice Theme Week. 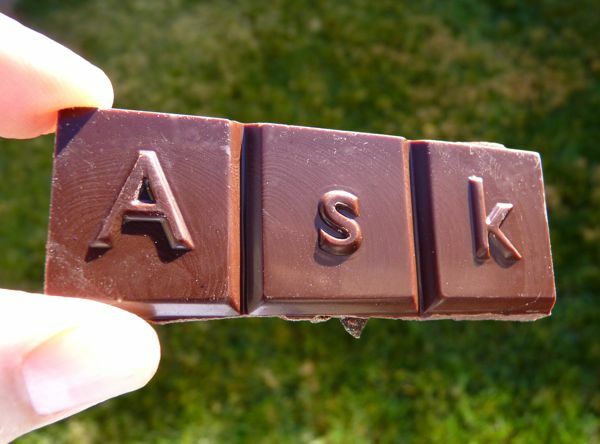 Shawn Askinosie, a small-batch, bean-to-bar maker with an eye toward delivering value to cacao farmers and end consumers, deserves credit for his creative and sustainable packaging. The inner wrap was compostable, and the tie that bound the package was made from "a biodegradable bag of beans shipped to our factory." 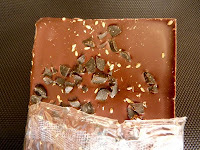 This particular chocolate bar was a collaBARation (sic) with a Scandinavian licorice manufacturer (Lakritsfabriken from Ramlosa, Sweden). 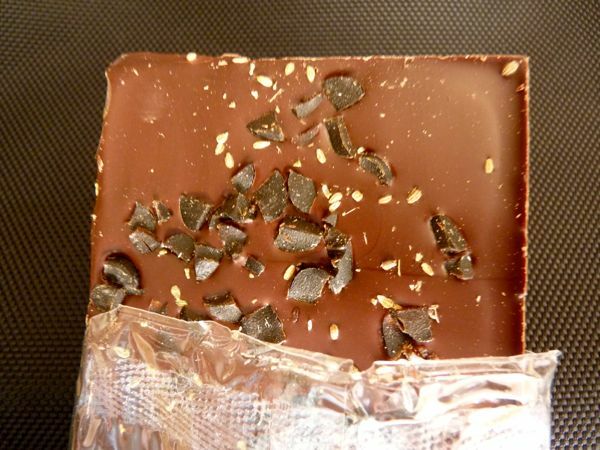 And in addition to bits of gluten-free, black licorice from Ramlosa, this milk chocolate bar also contained anise seed pressed into the back of the bar; and Askinosie's single origin cocoa butter, goat's milk powder, sea salt also added flavor. 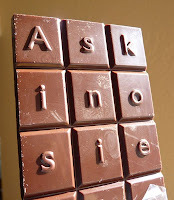 The front of the bar featured embossed letters, one per square, that spelled out - Askinosie Chocolate. 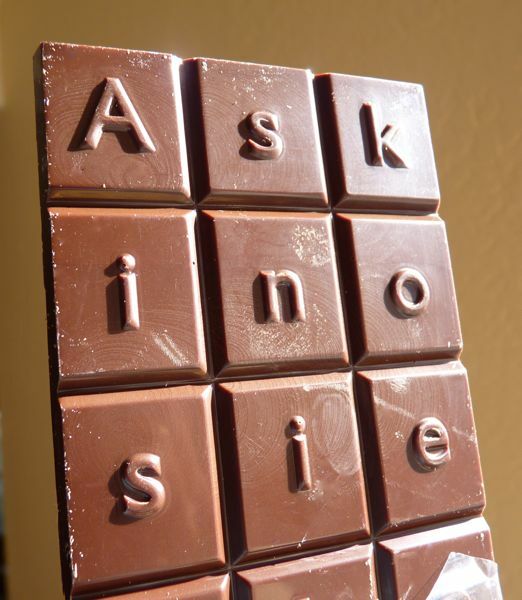 One could spell out a poem, play a game of chocolate scrabble, or write a chocolate ransom note with these letters. This is a new one for me...I'm going to have to see if I can find it in the Seattle area. Thanks for the tip!